Our priorities for delivery in the next phase of the keys to life will continue to be guided by our four rights-based strategic outcomes. They are closely aligned to the strategic ambitions in Scotland’s disability delivery plan, A Fairer Scotland for Disabled People. People with learning disabilities are treated with dignity and respect, and protected from neglect, exploitation and abuse. People with learning disabilities are able to live. independently in the community with equal access to all aspects of society. Support services that promote independent living, meet needs and work together to enable a life of choices, opportunities and participation. Health and social care support services are designed to meet - and do meet - the individual needs and outcomes of disabled people. Decent incomes and fairer working lives. Making sure disabled people can enjoy full participation with an adequate income to participate in learning, in education, voluntary work or paid employment and retirement. Places that are accessible to everyone. Housing and transport and the wider environment are fully accessible to enable disabled people to participate as full and equal citizens. The rights of disabled people are fully protected and they receive fair treatment from justice systems at all times. Disabled people can participate as active citizens in all aspects of daily and public life in Scotland. 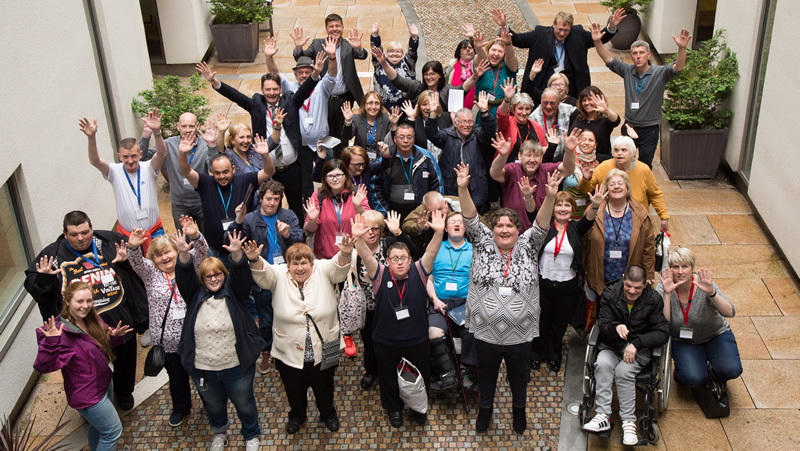 ARC Scotland’s National Involvement Network (NIN) is a network of people who receive social care support who meet to promote involvement and share ideas about things that matter to them the most. The NIN has developed the Charter for Involvement, which shows how people who use support services want to be involved in the services they receive, in the organisations that provide them and in the community. Over 70 organisations have since made a commitment to put the Charter into practice, and improve how they listen to and respect those they support.